Global dairy co-operative Fonterra has adopted an innovative Fonterra Ways of Working strategy to unite the company, regardless of geographic location, and instil a high-trust, high-performance, value-focused way of working amongst their 22,000 strong employee base. Ahead of the Next Generation Workplaces NZ Summit, we chat to Anita Potgieter, Fonterra Manager of Global Facilities and Workplace Strategy. Anita was part of the original team that rolled out Fonterra’s Ways of Working, including the design and development of Fonterra’s new Auckland City HQ. 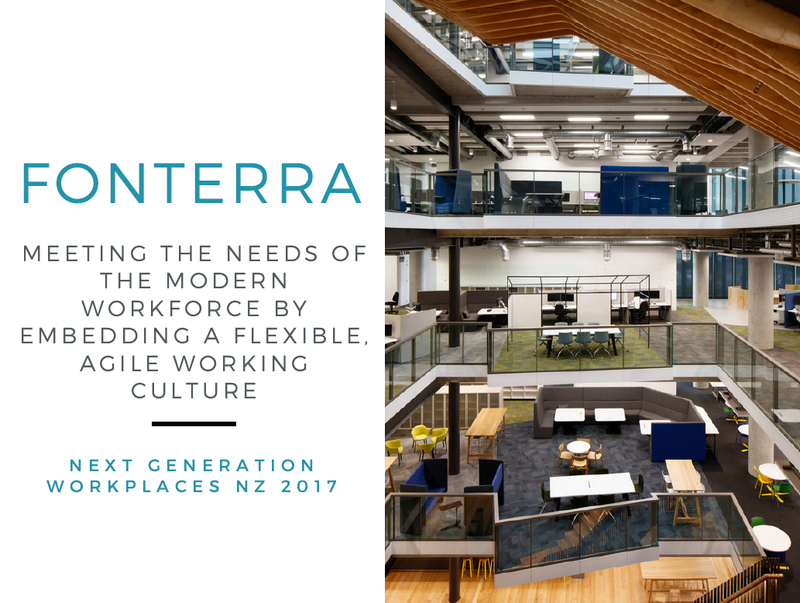 In this article Anita shares with us details of Fonterra’s innovative workplace design and further delves into the organisation’s continuous improvement objectives that ensure that Fonterra is meeting the needs of its modern workforce.